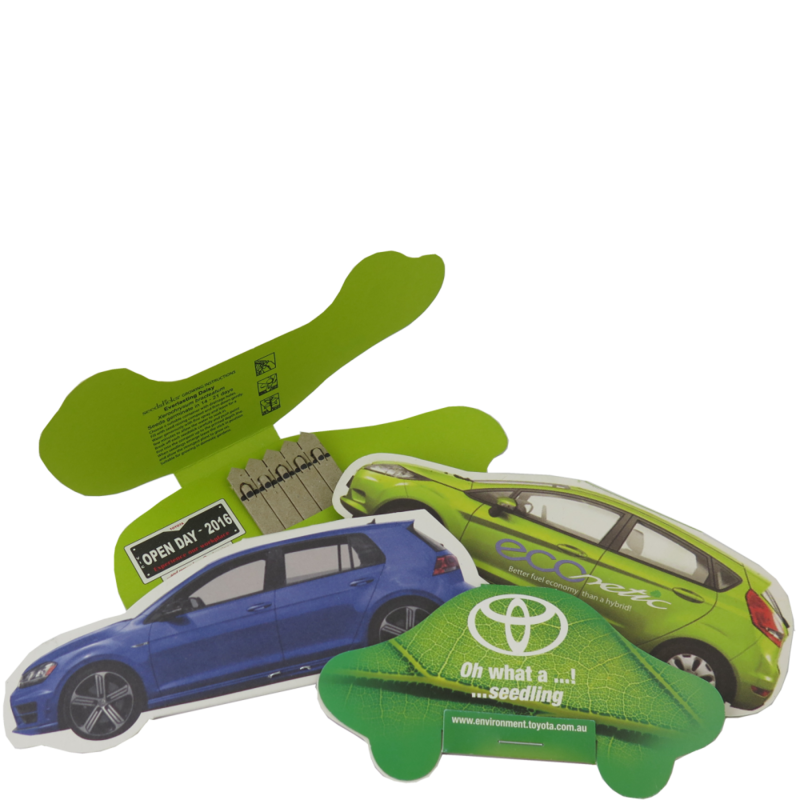 The Seedsticks Car shape has been a popular promotional product used by car dealerships and manufacturers. Pack size when stapled and folded vary so please contact us for dimensions. Minimum order quantity is 250 units. Each packet displays clear and easy to understand step by step growing instructions, expected germination times, as well as the botanical name and common name of the plant.